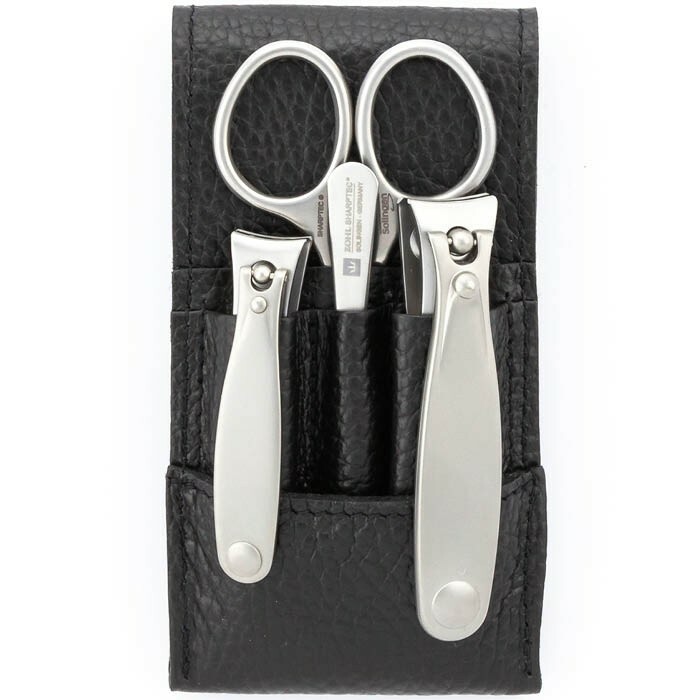 If your nail care involves the best nail clippers, professional Solingen scissors and a high quality nail file, then the Solingen manicure set Magneto is what you need. 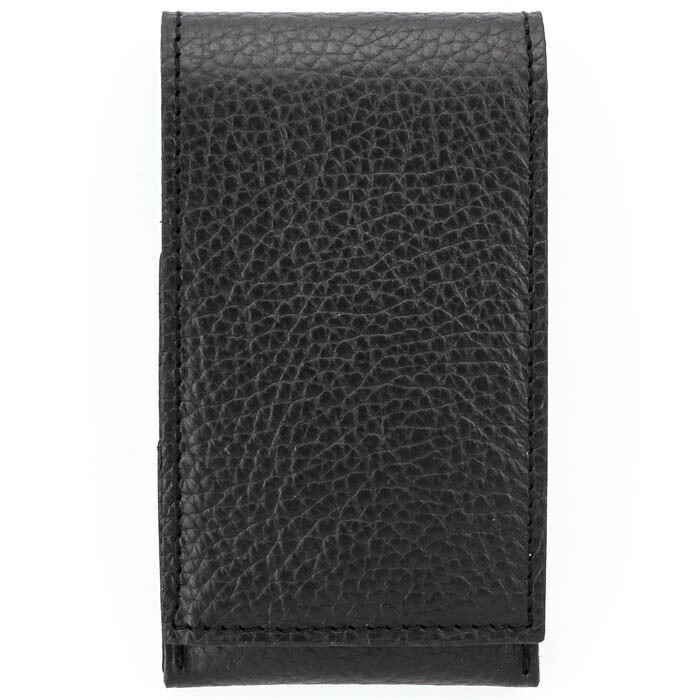 The black leather case, handsomely lined with premium cowhide inside and outside, secures 4 German made nail instruments SHARPtec. 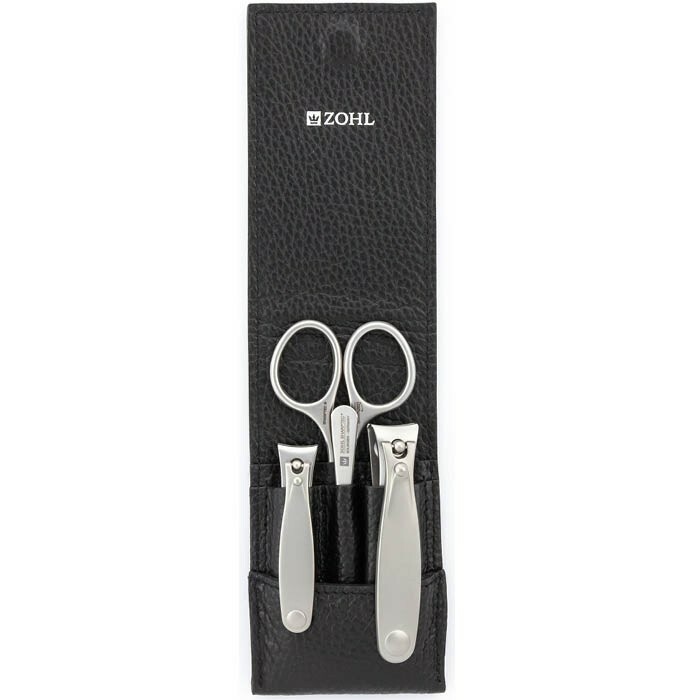 Crafted by hand from surgical stainless steel, the tools boast a perfectly sharpened cutting edge that stays sharp for man years without any need of re-sharpening. 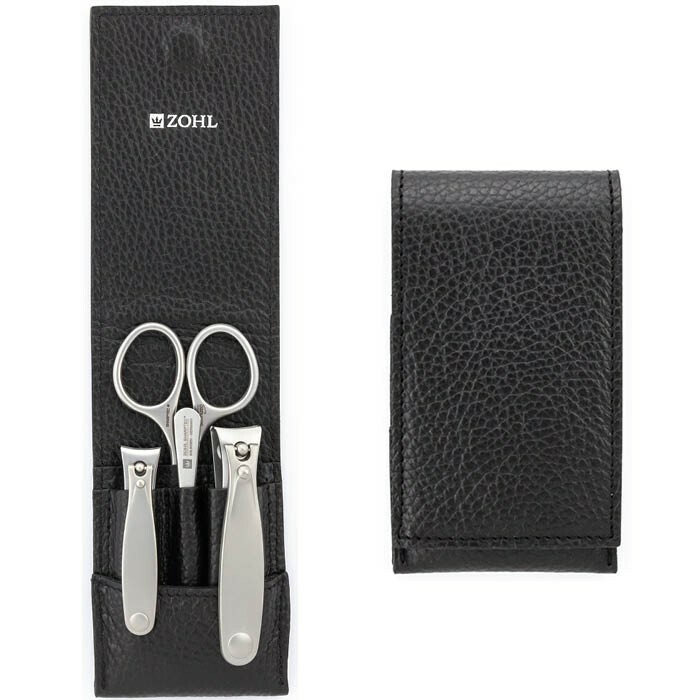 The set includes innovative and undoubtedly the best Solingen fingernail an toenail clippers, slightly curved fingernail scissors and dual sided sapphire nail file ideal even for very thick toenails. 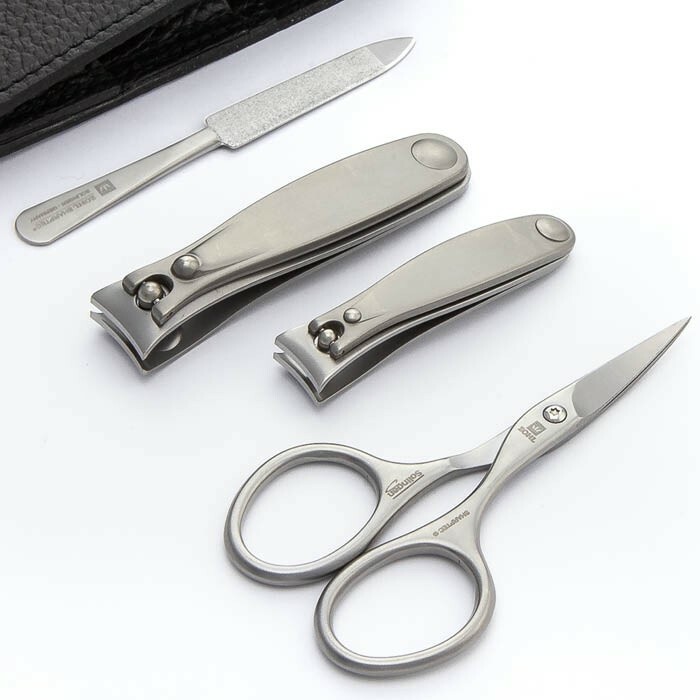 Sturdy magnetic closure secures the instruments in their individual pockets and makes Magneto a high quality gift for men and women who trust their nails to the world's best nail care tools. 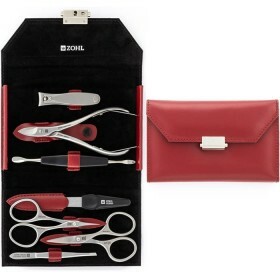 Whether as a Christmas gift or a Birthday present, the German manicure set Magneto is a delight for those who value the highest quality gear in their personal care. 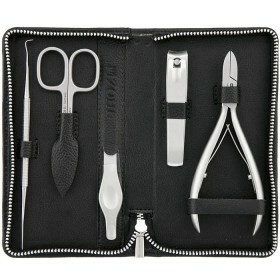 The luxury black leather case unveils 4 Solingen nail instruments ideal for all -round nail care and suitable for manicure and pedicure. 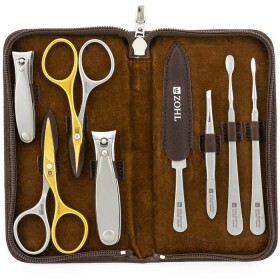 The set is made in Solingen (Germany) – the homeland of the world's best manicure sets, podiatry clippers, nail cutters, kitchen & hunting knives, and professional instruments. 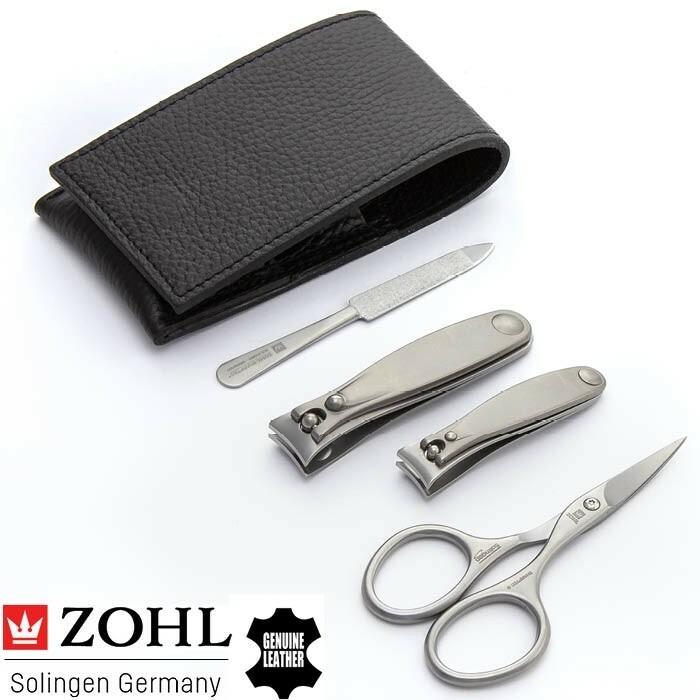 Solingen craftsmanship, carefully protected by the German Government, is a guarantee this manicure set complies with the strictest quality standards and will give a long lasting service. 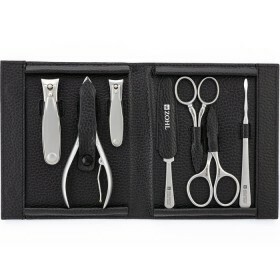 The unique feature of the Magneto nail kit special forging of surgical stainless steel. 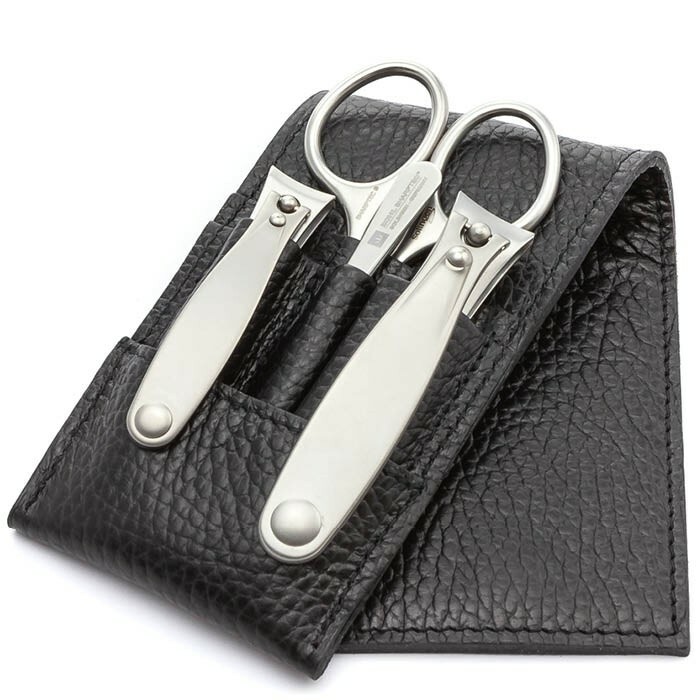 This results in a super strong grade material that is able to retain the cutting edge for many years, without any need of re-sharpening. 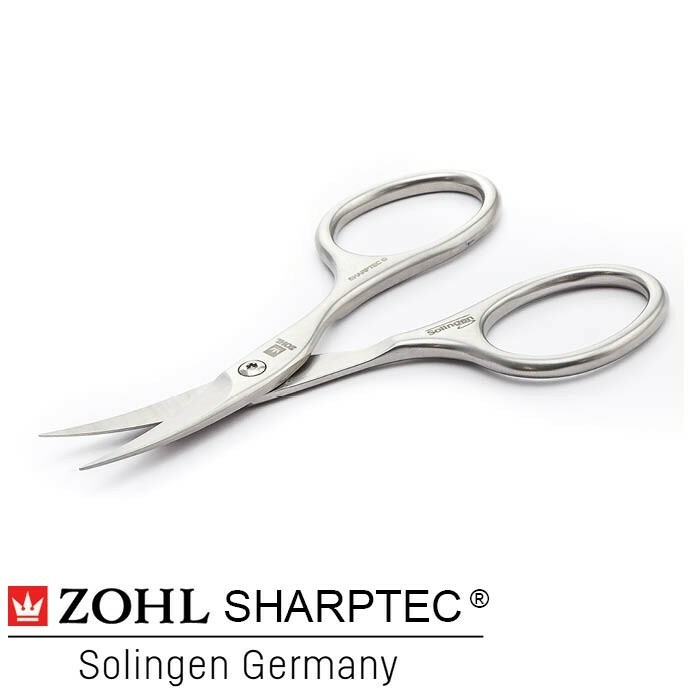 This characteristic makes SHARPtec instruments outperform other brands of manicure and pedicure tools thanks to immaculate sharpness and exceptional durability of the blades. 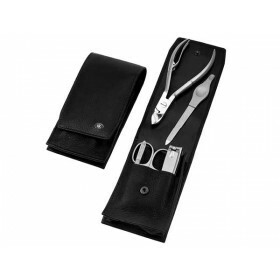 Professional Nail Scissors SHARPtec (9cm) with improved handling, large grips and slightly curved blades. 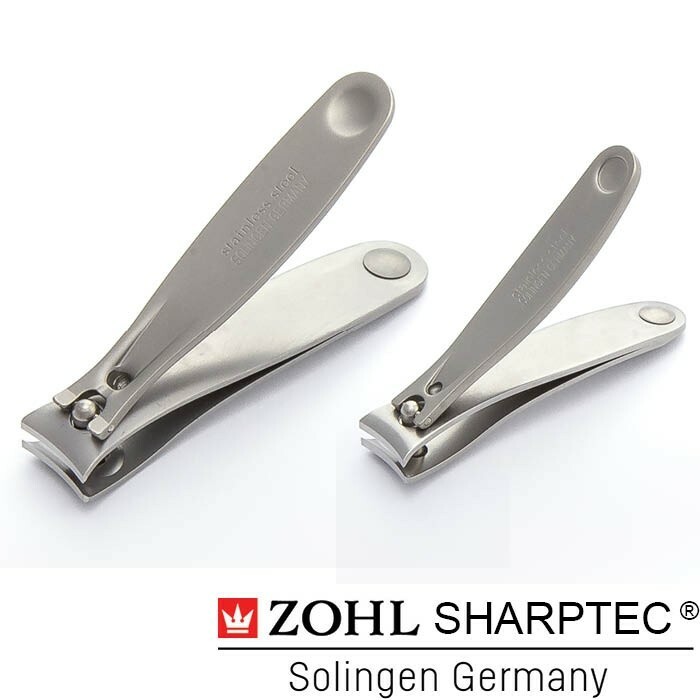 High Quality Sapphire Nail File SHARPtec (9cm) dual sided and ultra durable, ideal for smoothening all types of nails, including thick toenails.